Hey friends! There's a new challenge over at Time Out and this time it's a Theme challenge. The theme is sympathy, and there's an optional twist of distressing. I needed two sympathy cards for friends who lost their pets within days of each other. One was a total surprise and passed unexpectedly. The other was quite old, but still a sad loss. 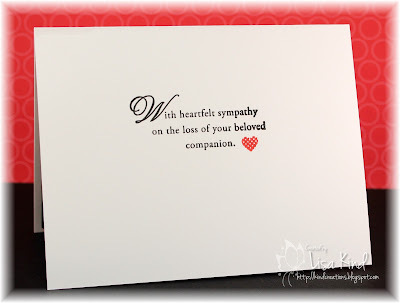 I pulled out this pet sympathy set from Papertrey Ink. 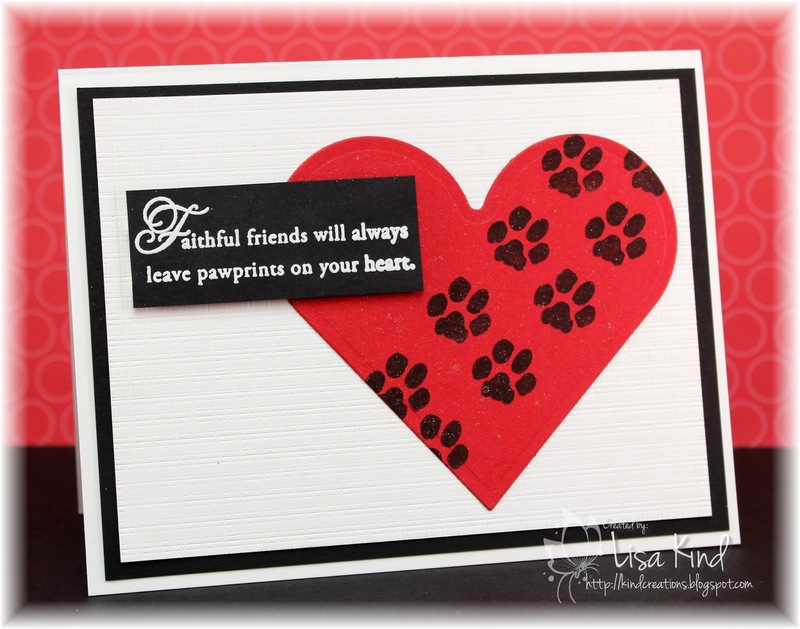 I die cut a heart from red cardstock and stamped the paw prints across the heart. 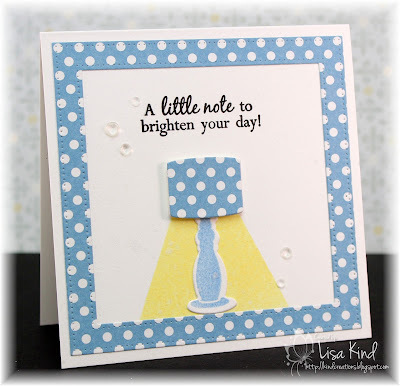 Then I stamped the sentiment in Versamark and embossed it in white embossing powder. 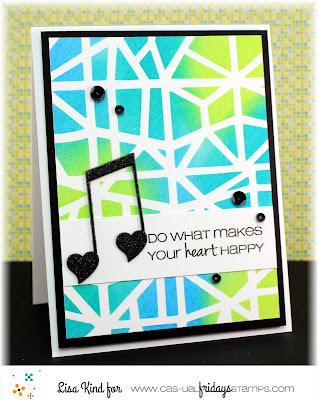 The heart was spritzed with shimmer spritz and layered onto a white cardstock impressed with an impression plate. This was layered onto black cardstock onto a white card base. On the inside, I stamped this beautiful sentiment and heart. 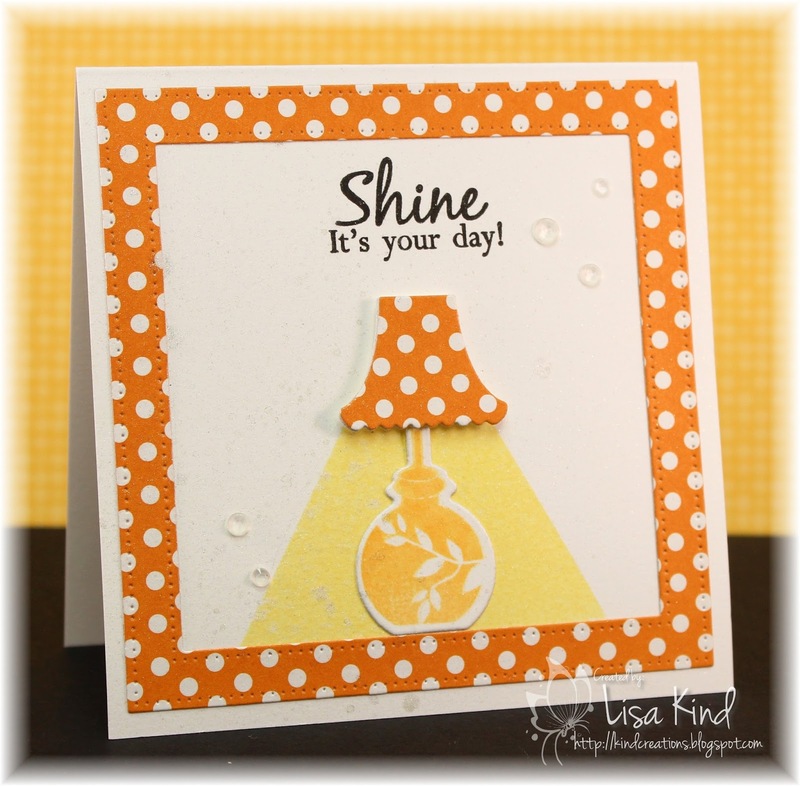 You can see more from the Time Out design team and our guest for this challenge, Sue, on the Time Out blog. 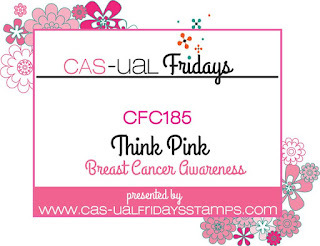 We are also sponsored by Happy Little Stampers for this challenge. It's Color Week at Just Us Girls! 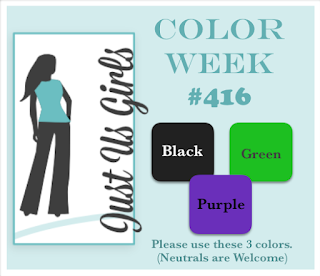 Vicki chose some colors that will work for Halloween or even a pretty card. I pulled out this Monster Love stamp set because I just love these little guys! I also wanted to send it to a little boy that is battling a rare form of cancer for seven months. I saw a post on Taylored Expressions Facebook page about him, and all he wants are Halloween cards. So I thought this would be a cute card to send to him. I made the plaid pieces with a plaid builder set and the challenge colors. The monsters were die cut then stamped. I added shimmer to them and glossy accents to their eyes. The background looked a little too white, so I spattered some black acrylic paint on it. Hi friends! 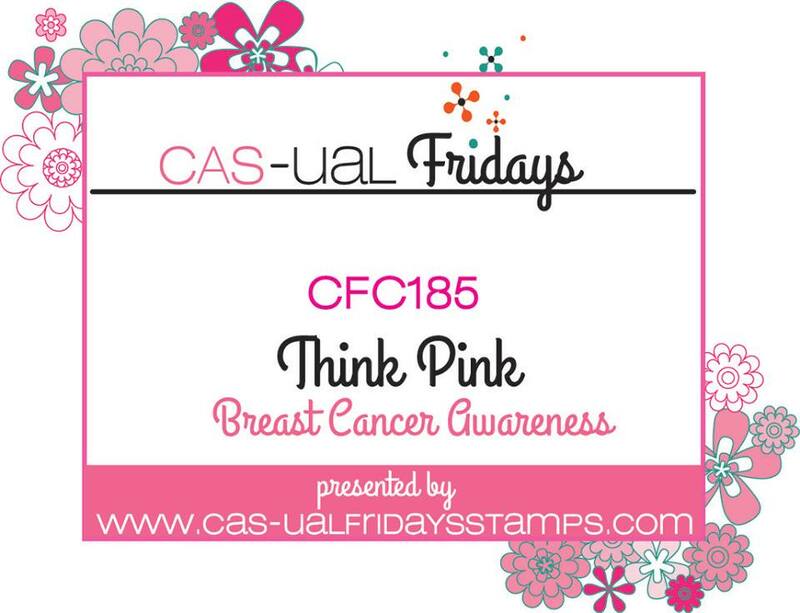 It's October and it's Breast Cancer Awareness month, so the challenge at CAS-ual Fridays is Think Pink. Hi friends! 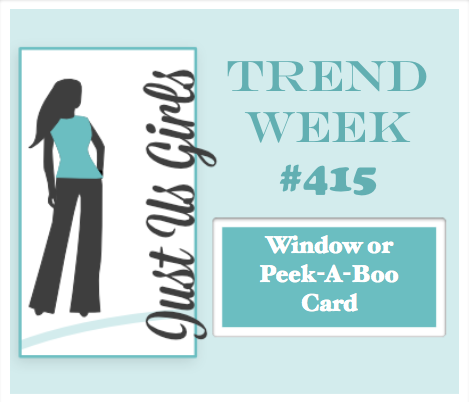 This week the trend at Just Us Girls is to make a window or peek-a-boo card. Angie chose a great challenge...so many possibilities! 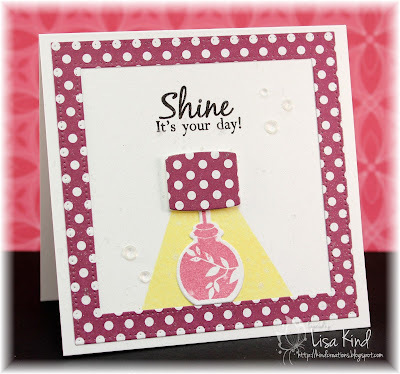 I wanted to copic color images, so I chose this new Stamptember stamp set from Simon Says Stamp and paired it with a die from My Favorite Things and some pattern paper. (I have so much of it and need to use it!) I sponged some ink on the background so it wasn't so white. I added some Nuvo drops and the sentiment and was done. Easy peasy! 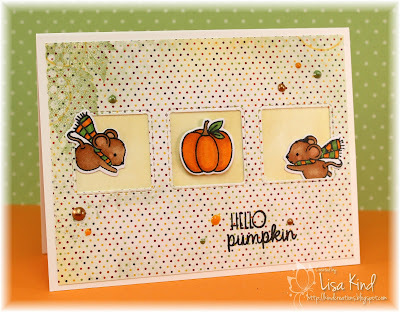 You can see more from the design team and our October guest on the JUGs blog. Hello everyone! 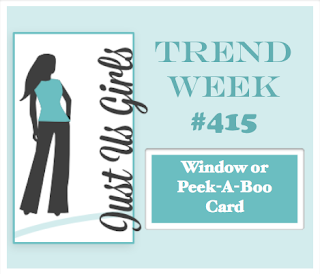 I love the Home Sweet Home challenge over at Time Out this week. The photo is so pretty and so fall-ish! Look at this pretty vase. Love those orange pumpkins. 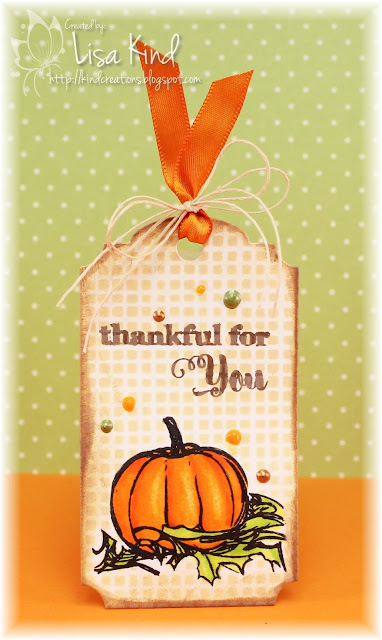 We are sponsored by Stamplorations this week, and I've used this cute pumpkin image from the Thankful for Autumn stamp set. I felt like making a tag for this challenge. I die cut the tag then stamped and masked the pumpkin. Then I used a Tim Holtz stencil and inked it up with some Distress ink. 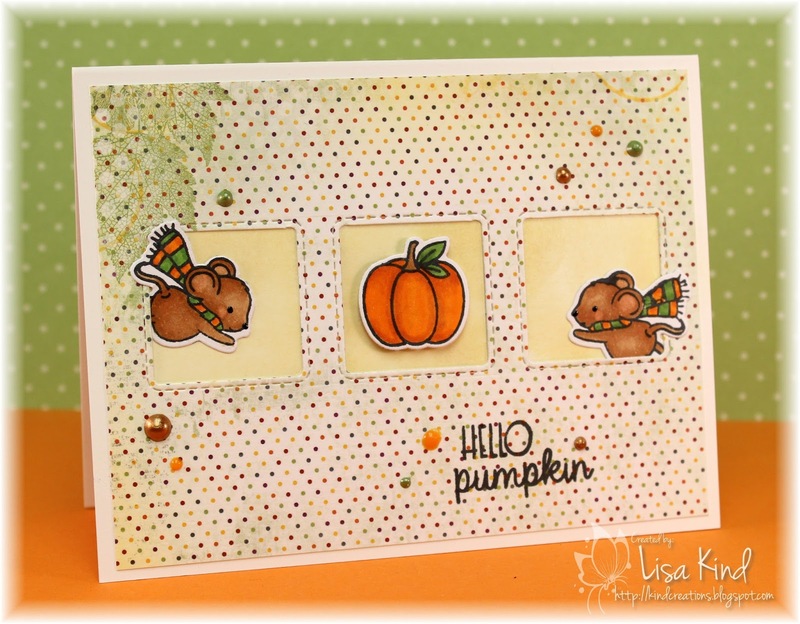 I colored the pumpkin image with copic markers, stamped the sentiment, and added Nuvo Drops, ribbon and twine bow. There's also some Spectrum Noir shimmer on the pumpkin. You can see more from the design team and our guest for this challenge, Janet, on the Time Out blog. Hi everyone! 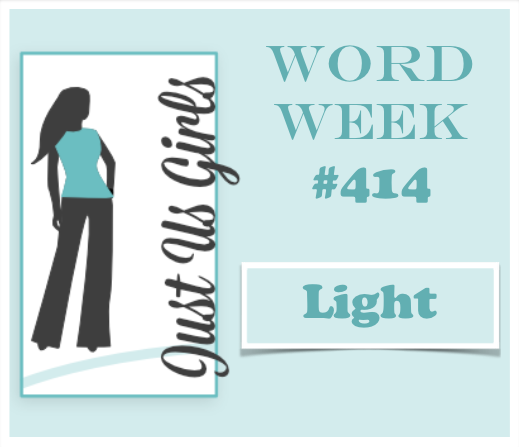 This week is Word Week over at Just Us Girls and Nancy chose "Light" as our word. There's a bunch of ways this word can be interpreted. I chose to make a set of four 4.25" square cards using lamps as the focal point in each one. 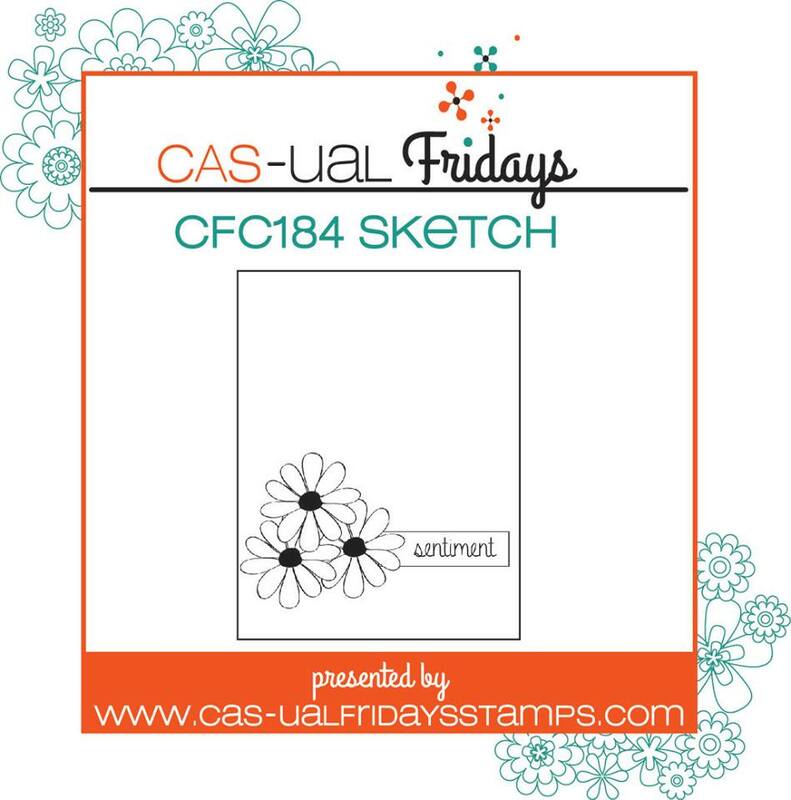 I've had this stamp set from Papertrey Ink for some time, and I don't know if it's ever seen ink! I started by picking out an old paper pack from Stampin' Up and die cut a square frame from four different colors and also die cut the lamp shades from the same paper. 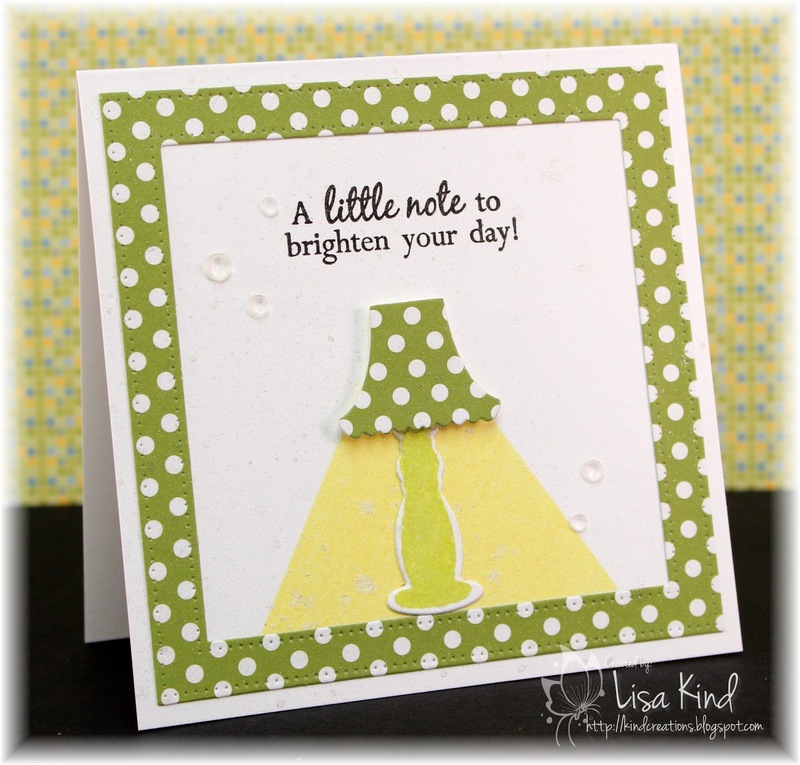 I stamped the lamp bases in coordinating colors. 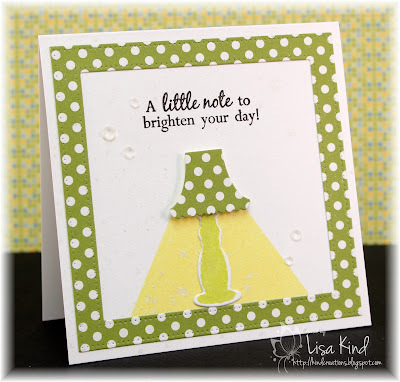 Before I adhered the lamps to the card base, I masked off an area and sponged the "light" from the lamp in yellow ink. I stamped two different sentiments, added sequins, and spritzed the card with shimmer spray. 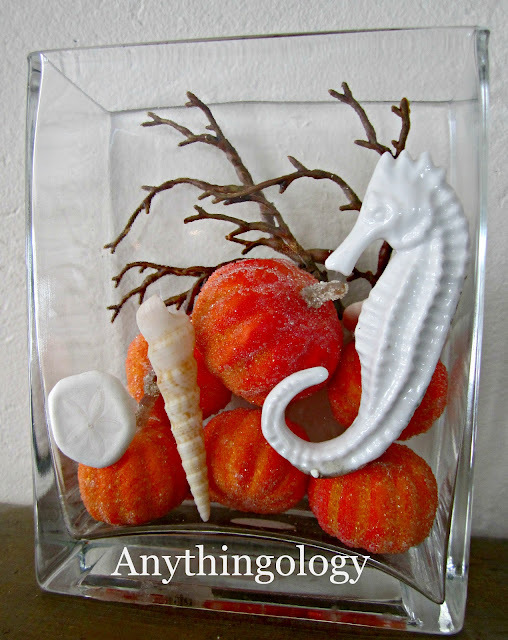 You can see more from the JUGs design team and our guest for October, Karola Rehnstrom, on the JUGs blog. Hi friends! 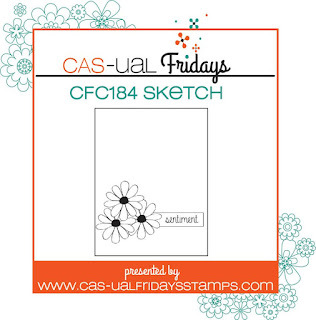 The challenge this week over at CAS-ual Fridays is a sketch challenge. There aren't as many sketch challenges around today as there were a few years ago, so I was very happy to have one to follow today. I love these heart music notes and haven't used them yet, so I thought it would be good to use for this sketch. I die cut it three times and stacked them for more dimension. Then I went to work on the background. 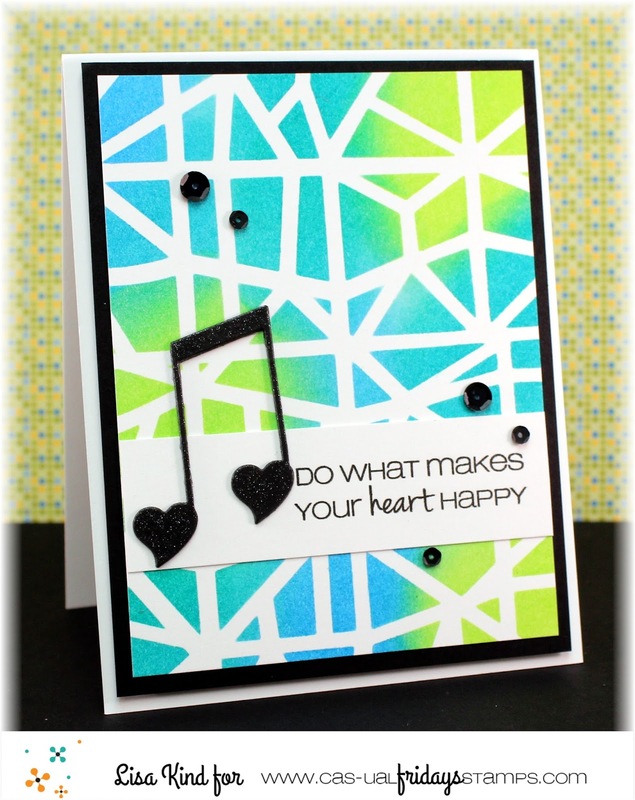 I taped this fun stencil to some Bristol smooth white cardstock and used Distress inks to create the background. That was matted onto some black cardstock. 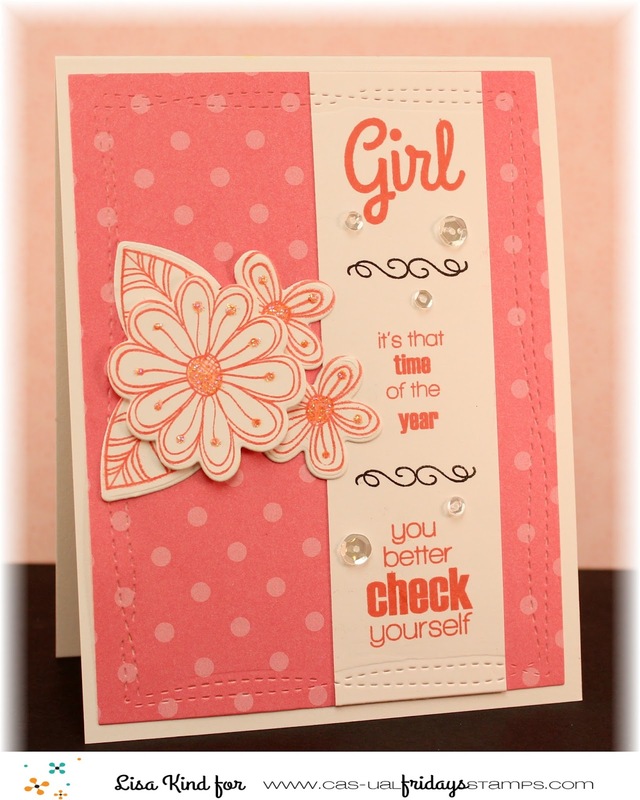 I added the white strip stamped with the sentiment and added black sequins to finish it off.